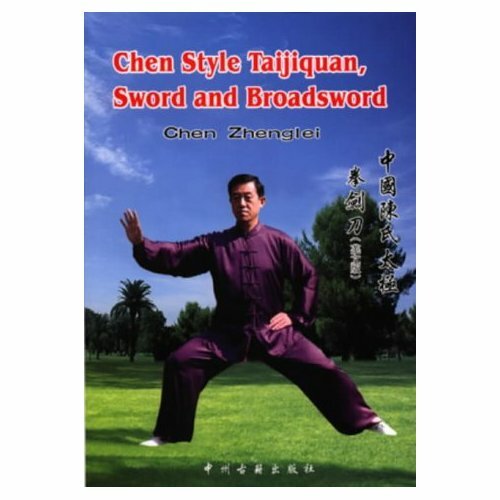 For many years this was my favourite book on Chen Style taijiquan. Not that I liked the whole book or even most of it. What I particularly liked was the 12 pages that described the Chen Style Requirements / body mechanics (shen fa) in clear detail and language and the 11 page long Method and Progression of Chen Style taijiquan training. In my opinion these 23 pages alone were worth the price of the book. At 368 pages this is a substantial book. It conveys not only a solid collection of the basic material for someone to pursuit learning taiji, it is in very good English (I assume through the efforts of Greg Bissel.) The information is clear, well translated and does not resort to esotericism. It can be considered a comprehensive work. The book contains 20 page of instruction on hand positions & basic stances, standing exercise and both stationary and moving silk-reeling exercises. The largest single part of the book is dedicated to the laojia yilu – the first old frame training form. Over 180 pages the movements, actions and body parts are described in great detail, including both the direction of winding in the arms and sometimes the legs and an effort to explain the circulation of internal energy for each posture. There are plenty of high quality pictures provided as a reference. It is a work of monumental effort and well executed. Unlike most books it contains much that cannot be derived from a DVD and is the basis for my strong recommendation. A similar effort has been made in the final two sections of the book covering the straight sword (jian) and the broadsword (dao). Unfortunately the translation and language used is of a lesser quality though still not poor. Each part of each movement is described an a ‘key to movement’ piece is included along with a sentence or two on usage. Nevertheless in many respects a DVD would be a better teaching method relative to thiese two sections of the book.